Debbie has served in the animal assisted therapy industry for over 30 years. 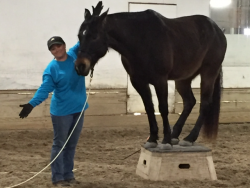 Debbie has held every position including lead stall cleaner, program director, board member, fundraiser, founder, executive director and has always been a great instructor. In addition to being involved on a program level, Debbie volunteered her time and energy to PATH International for the last twenty years serving on committees and on the PATH Board of Directors for ten years including four years on the Executive Board. 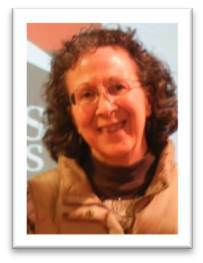 In 2004, Debbie co- founded Strides to Success with a vision of meeting community needs through EAL and EFP programs. Debbie also loves to serve as the welcome mat for people that are new to EAL. She loves to listen to their vision and lend them any experience that maybe helpful and guide them to resources that will help them make their dream a reality. Blair McKissock has been in the field of human-animal interaction and experiential education for over 20 years. She earned her BS in Recreation Therapy and her MS in Education and has a PhD in EcoPsychology. 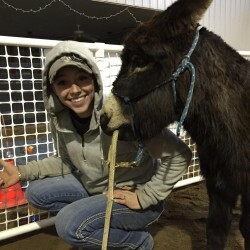 She is a PATH registered instructor, certified equine specialist, EAGALA Level 1 and certified WellCoach. She is the chair of the equine facilitated learning (EAL) community for PATH and works nationally to establish standards in EAL. Blair is honored to be a part of the Strides staff as an instructor and workshop facilitator. 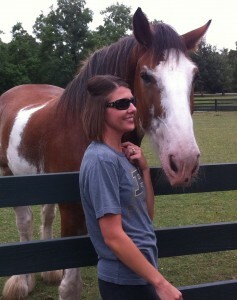 Kate has been a horse woman for over 15 years. 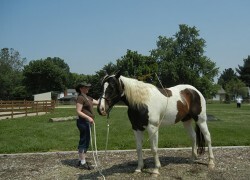 She has extensive experience training, managing and showing horses. She has been on staff here at Strides for over 2 years as the barn manager and is a certified therapeutic riding instructor. Mary’s childhood was highlighted by her longing for a horse under the Christmas Tree each and every year. She was thrilled when given the chance to have a horse of her own during her late teenage years. In her travels as a young adult and college student, she continuously sought out opportunities to maintain equine friendships. After 15 years in the field of Social Work, she moved to a new community, obtained her LSW, married and became a new mother. 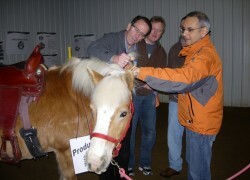 Feeling the equine tug at her heart once again, Mary was drawn to Strides in 2000 as a volunteer. In addition to helping with client sessions, she also began to help with a variety of office projects. Since that time, Mary became a Certified Quick Books User. She now feels blessed with a happy mix of serving Strides as an Office Manager, while continuing in her volunteer role with the horses. Marguerite, a wife and a mother of three children, brings to Strides almost two decades of experience working with teens through her church. An avid student of natural horsemanship, she enjoys being able to combine her love of horses and people in such a meaningful way. She is a PATH Intl. 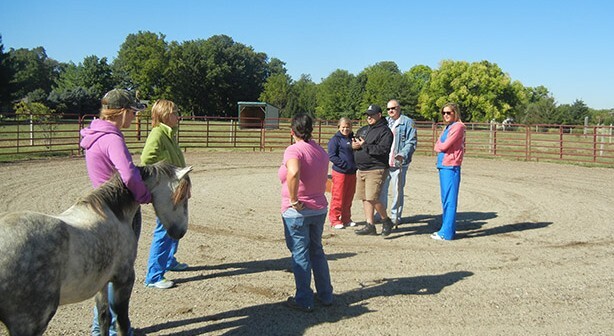 Registered Therapeutic Riding Instructor. 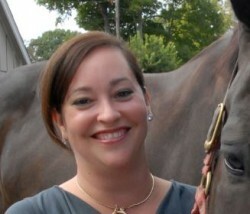 Megan has been with Strides in many capacities as a volunteer coordinator and a PATH therapeutic Riding instructor.